A tankless gas hot water heater might be a good choice for your off the grid home. If you are not familiar with the tankless hot water heater they are a box shaped unit that heats water instantaneously as water passes through it rather than heating water slowly and storing it in a large tank. They are also known as demand, on demand or instantaneous water heaters. The benefit of the demand hot water heater is they can be more efficient than the standard tank style water heater. The only source of heat loss is through the vent, chimney or flue. There is no tank that constantly loses heat thru it sides and top. However, if you look at the venting of the instantaneous water heater you will be able to judge its efficiency. A water heater that requires a double wall steel vent or full blown chimney is probably not very efficient. On the other hand if your water heater is vented with plastic pipe, it is probably very efficient. There is a lot a variation in how the flame of the gas tankless water heater is ignited. In the beginning, all of them were ignited by a pilot flame. Pilot Ignition – The pilot was on 24 hours per day just waiting for you to open a hot water tap. When a tap was opened, a valve opened allowing a huge amount of propane to be lit by the pilot. The huge flame heated the water instantly as it passed through the heater. The benefits of this system was the fact they would operate without electricity and were very reliable. The downside of course is the propane/natural gas wasted by the pilot. Depending on the size of the pilot, up to 30 liters of propane can be consumed each month. DC Electric Ignition – Another very cool system for igniting your gas instantaneous water heater was the use of a battery. Either a D cell or two D cells were used to produce a spark similar to your barbeque electric ignition that would light a pilot when hot water was required. The pilot was then used to light the large flame that would heat the water. We have used many of these and they work great. Battery life is usually about a year and can be more. This system worked well but seemed to fall out of favor quite quickly due to relatively low demand. Let’s face it, how many people are out there that are off the grid…not many. The availability of cheap grid power lead to the success of the next style of ignition. AC Electric Ignition – As the demand water heater manufacturers realized their largest customer base were grid tied, they started designing their heaters to operate from 120/240 volts AC. This is not good news for solar homeowners. While the DC ignition units used tiny amounts of energy, the AC counterparts seem to use massive amounts of electricity. Instead of a basic high voltage ignition system, they can now have power drawing glow plugs or heating elements as well complicated computer systems that monitor everything from input water temperature to the exhaust temperature. Simple mechanical safety systems were replaced by electricity consuming sensors and computers. It would be easy now to purchase a hot water heater that uses more electricity than your refrigerator. Be very careful when purchasing a gas demand water heater that plugs into the wall. Check the specifications first. Microhydro Ignition – Aquastar/Bosch designed a very unique ignition system (Model 125HX) that consisted of a small water turbine that generated the electricity required to ignite the gas flame. It is by far the best setup for the solar home as it requires no electricity and does not waste and gas operating a pilot. The biggest issue is they are hard to find. Limited supply – The biggest disadvantage of any tankless water heater is the fact they are limited in how much water they can supply. While they are advertised as providing an endless supply of hot water, most can only make 2–5 gallons (7.6–15.2 liters) a minute. They are not ideal for situations where there could be two showers and a dishwasher running at the same time. They are designed to provide hot water at a specific temperature. They regulate the temperature by throttling down how much water is allowed to pass through them. The more hot water demanded, the lower the pressure. Requires behavior changes – The standard hot water heater is easy to operate. You want hot water, you open a tap. If you want a lot of hot water you can open the tap fully. If you only want a little hot water (as in when you are rinsing soap off the dishes) you can open the tap a little. A large amount of water (over 1/2 gpm) must be flowing for an on demand hot water heater to operate. If you only open the tap a little, the heater will not function and the cold water will pass through the heater. This results in cold water going to your sink or shower. Even opening and closing your tap many times as when doing dishes results in cooler water. Requires high water pressure – Most of the on demand water heaters require at least 20 psi for operation. Many off the grid homes use gravity fed water systems and do not have enough pressure for the tankless heater. An easy fix in an inexpensive booster pump on your cold water supply. This works but adds another electric load that you would rather not have. Most will not work with radiant heat – The majority of instant water heaters need a lot of pressure drop to function. In a radiant heat or hot water baseboard heating application there is no pressure drop. Most will not interface with solar hot water – A tankless water heater is designed to take cold water and turn it into hot water. It cannot be supplied with hot water. If you supply it with hot water it will still ignite and possibly boil the water (or just waste energy). If you plan on using a solar hot water system to subsidize your domestic hot water heater, a tankless is not your best choice. Instead buy a high efficiency tank style heater. Will not work in an open direct heating system – We only mention this as the open direct is our favorite heating system. Learn about open direct heating systems. Require chimney or double wall steel vent – The manual venting gas models require a full blown chimney just like a wood stove. The power venting models all use double wall steel vent piping which is expensive. There are other water heating options that only use plastic piping for venting which is much less expensive. Fuel type and availability – The first consideration is the availability and cost of fuel. Your options are propane or natural gas. Most off the grid homes are remote and do not have access to natural gas. Do not buy a natural gas model thinking you can convert it to propane later or vice versa. Tankless water heaters cannot be converted from one gas to another easily like a gas range or barbecue. Size – How many gallons per minute will you require? Do you need to operate two showers at the same time or can you get away with one at a time? Electricity requirements – Do you have electricity to spare? Are you willing to purchase more solar modules so you can operate a computerized water heater. Some models can vent up a chimney and require no electricity. Other models use a high tech fan system to vent through the wall or ceiling. Look seriously at the power requirements. Energy efficiency – Does it matter to you if you use less propane for water heating? Are you limited in how much you can spend on natural gas? If operating cost is important try to find the most efficient pilot-less model you can. Cost – Usually the more money you spend, the better the unit will be but that it not true for the tankless water heater. You can purchase a very reliable Bosch/Aquastar 125B for about $600-800 or a highly computerized (electricity hog) and far less efficient model for $2000 from other manufacturers. Thanks for your website. It was quite helpful!! We have been solar for 34 years. We live remotely in a tower home in North Idaho, a place that requires generator back-up, especially in the winter. The code for hot water heaters is not solar friendly. Our very efficient hot water tank was on the first floor. When Steve, the propane delivery man, arrived with our 500 gallon tank, he looked at the heater and said, “It doesn’t meet code.” (We’d run into this before with another company. We will never have enough collectors to run a 24/7 fan at the top of a 3-4 story venting pipe.) We needed the 500 gallons of propane, so my husband sawed the hot water tank off and they carried it outside and the man delivered the propane and took an order for a tankless demand hot water system that was cordless that was to be delivered a few days ago. When this did not arrive, my husband went into town to their office and only a secretary was there with a $1300 demand hot water tank marked “sold” with an electric cord attached, on the counter. He tried to talk to the secretary, but she did not understand what he was saying. He knows all kinds of Rube Goldberg, non-code solutions with the old tank, but is intrigued by the idea of a coldless demand system. Our next door neighbor has a small one that annoys him constantly when the pilot light blows out. Our old propane hot water heater had a very efficient pilot light. At last I got my husband to look on the Net for information so he can talk to the man at Northern Energy with the knowledge of what’s posted on the Net. Anything anyone would like to contribute would be appreciated! The blurbs below recommend the Polaris, but it’s a hot water tank and costs more money than we have available. What is the best choice for our situation? I am researching tankless water heaters for the off-grid home I’m building. Excellent article! I was familiar with most of the issues you mentioned before I read your article, but the information in the “Requires behavior changes” paragraph was new to me and presents some challenges. As part of my preparation for off-grid living, I have been training myself to conserve water in various ways, two of which are 1. running only a small, thin stream of water when rinsing dishes, 2. running only a small, thin stream of water when washing my hands and also turning off the water entirely when soaping up my hands; then turning it back on again to rinse. According to what you’ve said, though, a tankless water heater would not work well if I use water this way. I suppose I could try rinsing dishes with cold water, but I don’t think it would work out very well because my well water is very cold, and my hands would ache; also because soap seems to rinse off the dishes more quickly if warm water and not cold water is used. I suppose I could try running a dishpan-full of warm water and dunking dishes in it to rinse them. As for washing hands: I could probably run a small amount of cold water to wet the soap and wet my hands, then lather and scrub, then rinse with warm water. So – your article is definitely food for thought. Thank you for you comment. You are correct. That is one of the problems with tank-less water heaters. They require a certain amount of flow to turn the burner on and that is probably the biggest complaint we had with them. As you said, it makes sense to only run the hot water a little to rinse your dishes but you will end up with plain cold water if you do that. The best solution is to either fill the other sink with hot water and dunk your dishes to rinse them or use a condensing hot water heater like the Polaris. Even in a shower you pretty much have to turn the hot tap on full and then add enough cold water to make the water comfortable to shower in. This can result in wasting hot water as well. I am not completely against tank-less water heaters as they are better than the typical Home Depot water heater (about 50% efficient). But I think the greatest advancement in hot water is the condensing water heater. They really are incredible. About 96-97% efficient compared to 70-85% with the tank-less and have almost no standby losses (214 BTU/hour). We have left for a week vacation, turned off the Polaris and come home to find the water is still about 100 degrees F.
Thank you for your comment and your information. I totally agree that solar hot water can be combined with on-demand / tankless hot water heaters now that there are full modulating gas burners. The full modulating gas valve tankless water heaters are a relatively new concept but can make a good investment if they are efficient. You would need a storage tank for the solar hot water and it would basically act as a pre-heater before the water enters the tankless heater. Of course the tempering valve is a must but they are only about $100 or so. 2. A means of dumping hot water if you are away and the water starts to boil. The dumping system can be as simple as a pressure/heat relief valve or as complicated as a buried loop of piping, circulating pump and aquastat (thermostat for water). 4. On demand hot water heater with full modulating gas burner(s). 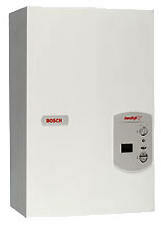 Gas tankless water heaters typically have an efficiency of about 80% meaning 20% of the fuel goes out the chimney. The Rheem Condensing Tankless gas modulating water heaters boast an efficiency of 94% but I cannot find out how much electricity they consume anywhere. Will update when I find that out. The modulating gas units usually consume a fair amount of electricity as they use an electric glow plug to keep the propane lit while it modulates the gas flow. On grid homes will not care. For an off grid home it could be much more power than you would want to use. We used a tankless water heater for about 11 years and it worked fine. Had to get used to turning the tap on full blast if you wanted the burner to light, it was only about 78% efficient and it used a pilot light that consumed about 10 liters per month of propane. Our favorite water heater is still the Polaris. It has an efficiency of about 96% and only loses 1% or so per day through the top and sides. We have integrated it with our solar hot water system with a heat exchanger and a tempering valve. Did not need to purchase a preheat tank. Again thank you for sharing this with me and I will try hard to find the electricity requirements of something like the Rheem Condensing unit.